If our language learning was a car we’d be a piece of paper with a child’s drawing of one – you know, the side view with two wheels and a smiley face staring out. Possibly a steering wheel of sorts and maybe lights. There’d be no structure, let alone a finished vehicle. 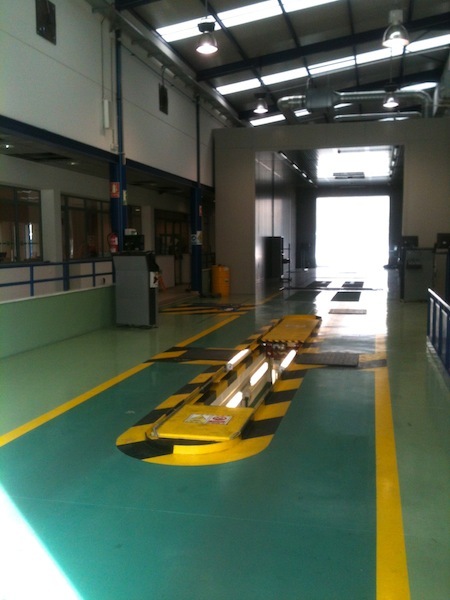 So imagine taking the car for its regular MOT (NCT in Ireland) or Inspección Tecnica De Vehiculos in Spain. For 15 minutes we had no idea what the inspector was talking about – but we did learn where the hazard lights were…and the fog lights…and a mouldy bar of chocolate. We half-expected him to pull out a small mammal from the engine or, knowing our luck, a snake. He shone his torch into places we didn’t know existed, ticked a pad while rubbing his chin and made the car bobble and dance like a bee-stung hippo – checking the suspension, we presume. No one can blame us for not knowing what ‘The fog light needs swapping to the left-hand side’ or ‘Move the vehicle forward slightly onto these floor plates’ are in Spanish. After a flurry of hand gestures and grimaces that Marcel Marceau would have been proud of, it was over. We left for the nearest mechanic to get the light moved. This gave us the opportunity to grab a coffee and look up a few words like hand-brake (un freno de mano) while treading on a huge, dried toad (un sapo) under the table. The lesson – as everyone who has settled in Spain will probably tell you – is you have to properly learn the language. Not just how to order food or ask for directions but the things that otherwise leave you sobbing. The process of getting the certificate updated was easy, and hats off to the helpful ITV staff at the centre in Los Tablones. They played music over a tannoy while we waited outside, there was a sweet machine and spaces for three people to urinate simultaneously. 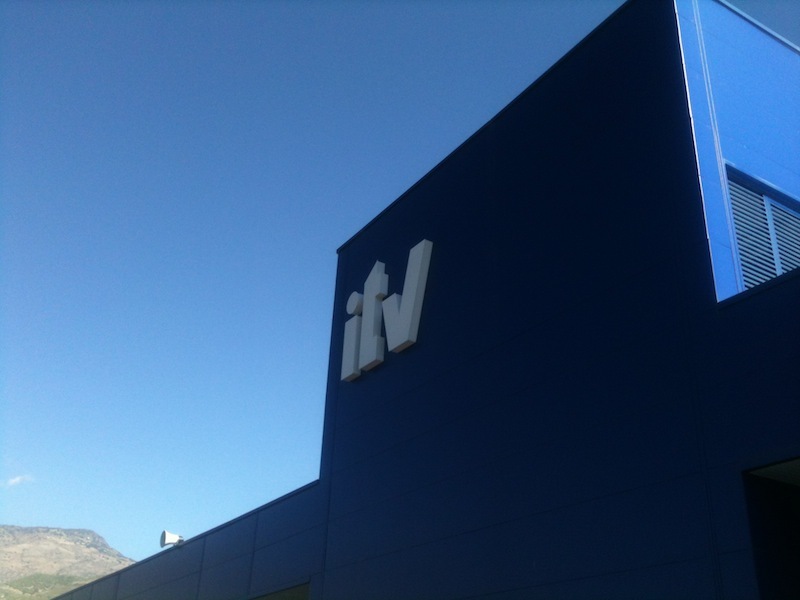 The updated ITV certificate – which you need to do every six months for older vehicles – cost €41 and the five-minute swapping of the light, €20. There’s a light that never comes on (unless it’s foggy). Would you like a toad with your coffee? Your 20€ light bulb was a handy introduction to the gouge-the-guiri movement. A suggestion: Refuse to pay it. Make a non-violent fuss. Insist. Insist some more. You will eventually make two mental lists: One-Places not to go back to. Two-Places where you are not gouged and will establish a cordial relationship and return to happily for years. Quite possibly. Sellers in the market who overcharged us as ‘tourists’ in the summer no longer get our custom. 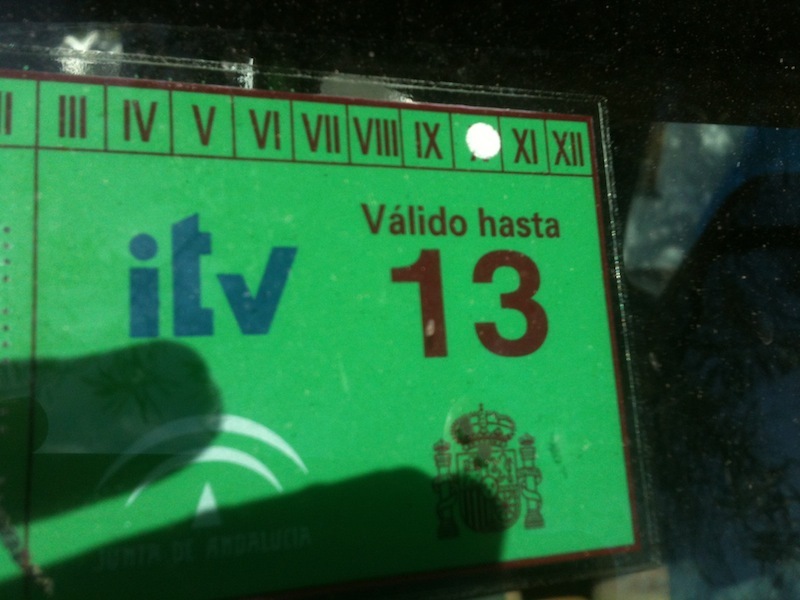 All our experiences with ‘officials’ and bureaucracy in Spain has been great so far. 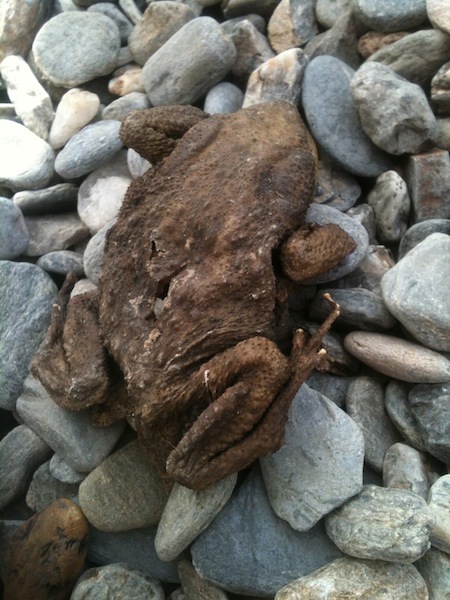 Just wish we didn’t keep coming across spiders, snakes, centipedes, toads etc…! But did you step on a toad?